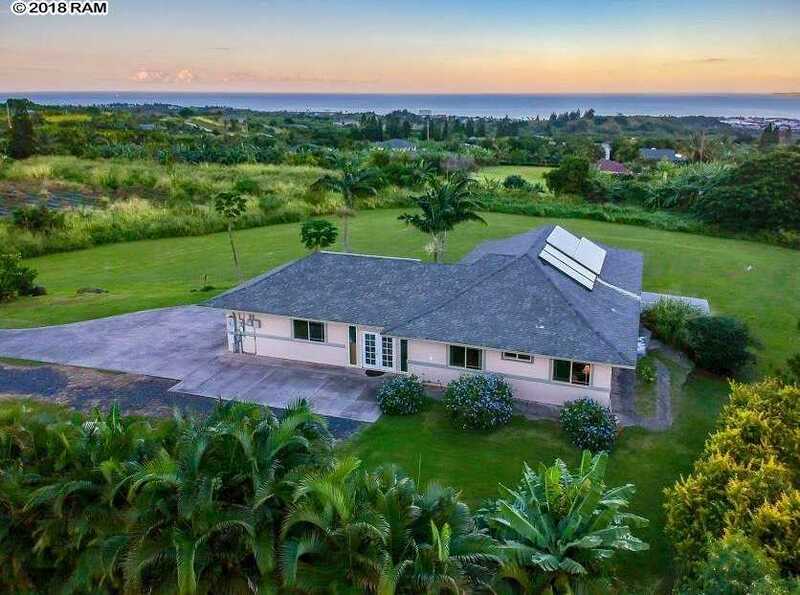 Gorgeous North Shore, ocean, city, and Haleakala/West Maui mountain views from this Wailuku Country Estates single-level home. Privately located at the end of a cul-de-sac in a rural setting, this property is just minutes away from schools, the hospital, shops and businesses, County buildings and courts. The property is connected to the County water and sewer system. The existing custom-built 998 square-foot home boasts Travertine tile and oak laminate floors, granite counter tops, and wood cabinets. The 23 PV panels and solar hot water system translate into minimal electric bills. The home features a Presidential roof, stucco exterior, and 540 square feet of covered lanai, ideal for soaking in the spectacular panorama and lush, tropical landscape. The home is newly painted and includes bonus spaces. The level, cleared lot already has a view-site ready for a main home. Easy to show. Some improvements do not match county records. Being sold âAs Is,â so interested buyers and buyerâs agent to do their own due diligence. Please, send me more information on this property: MLS# 380811 – $1,095,000 – 576 Luahoana Pl, Wailuku, HI 96793.